As you may, or may not, know – September is Bourbon Heritage month and when it comes to Bourbon whiskey the Sunshine State offers you a lot of options. For instance, the St. Augustine Distillery Company is a brand new business collaborative; a group of locals that share a dream. Their idea is to bring the national movement of distilling super premium, small batch spirits it better than anyone in the world. They started by bringing some of the world’s best distilling experts to St Augustine — the oldest and coolest small city in America — then combine it with locally grown sugar cane, wheat, corn, and citrus. The notion was to develop a ﬁner quality spirit than just about any other place in the world. While the business is new, the location is not. They operate out of St Augustine’s Historic FP&L Ice Plant. Built as part of St. Augustine’s ﬁrst power and ice complex in 1907, owners have restored and brought it back to serve the community for the next century. The Ice Plant is a contributing building to the Lincolnville Neighborhood on the National Register of Historic Places and was the ﬁrst of it’s kind to make commercial block ice in Florida over 100 years ago. Today, it is helping us make Florida’s ﬁrst bourbon and other ﬁne craft spirits. The Timber Creek Distillery is located on a family farm just north of Destin, Florida. Their announced vision is to take the best local fruits and grains from the Florida Panhandle and turn them into the finest Craft Spirits. They take great pride in hand making every batch and hand bottling every bottle. The Florida Panhandle and Gulf Coast are blessed with some fantastic local crops. For their Whiskeys, they use local Red Soft Winter Wheat, local Yellow #2 Dent Corn, and local Florida 401 Black Rye. Their distillery is unique with a custom designed pot still named, “thumper”, and the copper worm condenser allows the bold favors of our raw ingredients to shine through. The Winter Park Distilling Company was founded in 2010 by Paul Twyford and Andrew Asher. Both were raised in Winter Park. They were later joined by Andrew’s wife, Francesca, a transplant from Palm Beach County. Starting with just a handmade 50-gallon still and a few old recipes for whiskey, they established the Winter Park Distilling Company as the first and finest craft distillery in Orange County, Florida. Their Bear Gully Classic Reserve Bourbon is the very first craft bourbon made in Florida. Their single barrel bourbon is crafted with a rich local corn mash and aged in a naturally heated rackhouse to over 100 degrees Fahrenheit. In this thick, humid, summertime air our award-winning Florida bourbon gets its smooth and rich finish imbued with a proud Central Florida pedigree. Those are just a few of the Sunshine State distilleries and definitely Florida Fun Zones. In addition to their stock, each also offers tours of their facilities. And finally, no Florida Fun Zone report would be complete without a festival – and this is no exception. 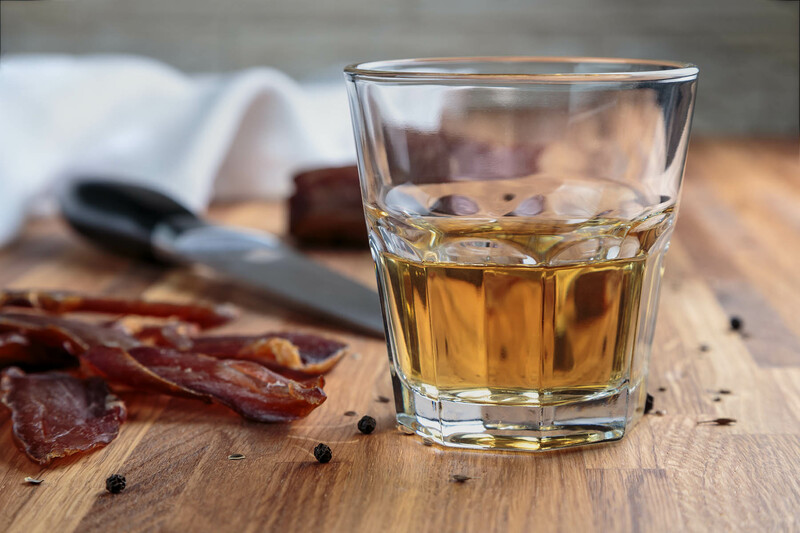 Each March, Delray Beach offers the Bacon & Bourbon Festival. This coming March they will return with an expanded menu of bacon and pork related dished from the sublime (Forever Roasted Bourbon BBQ Pork & Bacon Sandwich) to the insane (Bacon Ice Cream Sundae, Bourbon and Caramel Sauce anyone). Menu items developed by local chefs exploring the boundaries of New American Cuisine and the Farm to Table movement to good old fashioned comfort foods, just like Mom used to make! In addition to bacon, the festival will feature an eclectic selection of bourbon and whiskeys. The distiller’s art and patient techniques are shared in a series of seminars and tastings. There will be plenty of backyard games including; corn hole, jenga, checkers and the now famous pig race game! In fact, we are getting ready to make our own custom bourbon thanks to the fine folks at Timber Creek. Visit our Florida Fun Zone Facebook page or drop us a line at floridafunzone@yahoo.com.